For accommodation on 'All Inclusive' basis, in a property close to Magaluf, look no further than the Zafiro Palmanova. Close to Bendinat, Santa Ponsa 1 & T-Golf Poniente it's an ideal base for golfers in Mallorca looking to stay for 5-7 nights. The superior 4-star Hotel Zafiro Palmanova, is located in the heart of Palmanova, close to the border of the neighbouring resort of Magaluf. The 241 well-equipped and comfortable apartments at this hotel include a living room, bedroom, terrace and kitchenette with tea / coffee making facilities. Dining options at the Zafiro Palmanova include the Caprice buffet restaurant, which is open for breakfast, lunch & dinner. Here you'll find a variety of regional and vegetarian dishes, as well as a show cooking station manned by the hotel's chefs. The El Patio Restaurant offers a la carte dining, and the Lounge Bar Babalú offers a wide selection of wine, beers and cocktails. 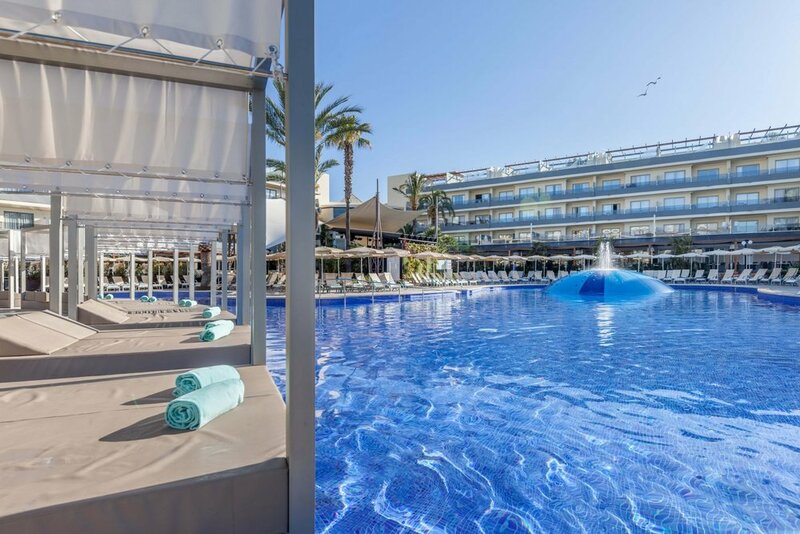 By the main freshwater pool, with it's large sun terrace, you'll find the La Palapa Pool Bar, which in season serves drinks and snacks from its bistro menu. There's also an exclusive chill-out pool with Balinese sunbeds. The hotel's 24-hour reception offers a money changing service, and the staff there speak fluent Spanish, English & German. Free WiFi is available throughout the hotel. For health conscious golfers there's a fitness centre, indoor cycling, and a Spa with sauna, Jacuzzi and Turkish bath. It's difficult to find hotels that offer a good standard of All Inclusive, but this is an exception. The hotel is close to Magaluf, and provided that you're planning to stay for a minimum stay of 5 nights (except between May and mid-September when it's 7 nights), then this is a property worthy of serious consideration. 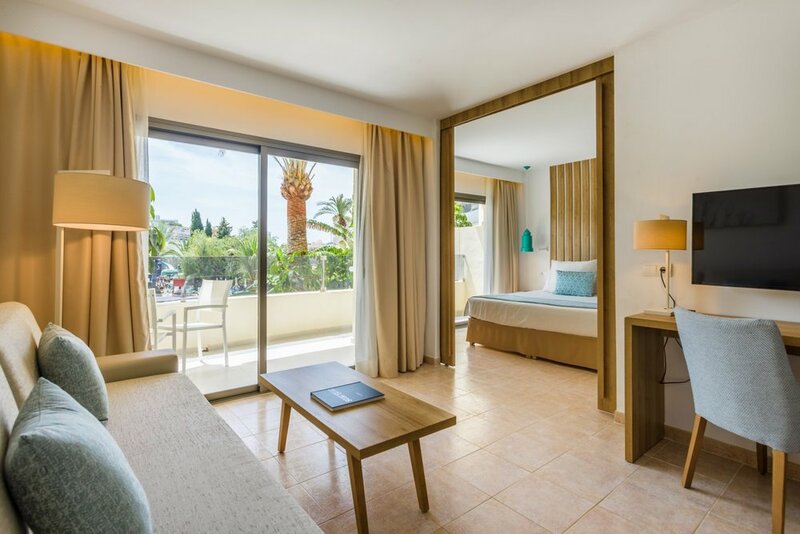 It's close to Bendinat, Santa Ponsa 1 & Poniente golf courses, meaning that you can make the most of the local courses during the day, whilst enjoying all of the facilities the hotel offers during the evening. Rooms are also available on a Half Board basis too.